Ever been on the receiving end of a hollow or what you felt was an insincere apology? There is a way to apologise effectively and then there are plenty of ways to deliver an apology that can lead to more disconnection and frustration. The ability to deliver an apology that works can leave the receiver feeling acknowledged and validated. Who wouldn't want that? This episode looks at what to do to deliver an apology that works and also what doesn't work. Genuine apologies lead to repair and this leads to us feeling safe in our relationships both in the workplace and at home! It can be terrible to work in a dysfunctional business. A business can be like a family system. Some families are calmer, more productive and supportive than others. The same applies for businesses. This episode explores some of the key elements that present when we find ourselves in an emotionally mature workplace. The more emotionally mature a work/business environment is, the more productive and profitable it is likely to be, with less problems to deal with. There is so much talk about developing the skills of good leadership out there. I feel that the skills of being a good follower are massively under valued as a way to advance your professional career. One of the most consistent complaints I hear from Business Owners, Entrepreneurs and CEOs is that they can't get enough good people to help deliver and support on the business vision. What are some of the qualities that make up an effective follower? What would be the benefits in developing those skills for myself further? This episode explores the power of following and how vital to modern business these skills are. If done well a family business can be a fantastic experience! We generally tend to spend more time with those we work with than anyone else. Why not spend it with those you love! However there can be challenges and risks when we combine family dynamics with the stress and pressure of business. It is so important to take the family out of family business at certain times and stick with professional behaviour. If we can do this we increase the chance of creating healthy, loving, thriving businesses and enjoying family at the same time. Episode 33 once again looks at boundaries as they are just such a central component to people dynamics. Depending on the family system, the family culture you grew up in, you can develop a very different idea around boundaries compared to your romantic partner or work colleagues. This episode explores some of the central elements and points of consideration so as to add to your existing understanding of what is a healthy boundary compared to unhealthy. Understanding in this critical area of human interaction can really propel us forward into quality fulfilling relationships in every area of life. I hope you find that this episode provokes some contemplation on what you may have been taught directly or indirectly about boundaries in the past. Marty Vids is back on the program for this episode. I have heard of him being described as the Happy Entrepreneur which I think is very fitting! Apart from his integrity he has the results on the board having build three businesses from start up to a million dollars turn over a year after tax! Less than 3% of small business owners in Australia achieve that once let alone 3 times! In this episode we cover a wide range of elements fundamental to creating a successful business, interacting with others, managing set backs and mastering adversity. Marty has a wealth of knowledge and insight to share around modern business, you will really enjoy and take away value form this episode! The one consistent element at the centre of all my relationships both successful and unsuccessful is me! One of the most dramatic ways to improve your life is to improve your self-awareness. 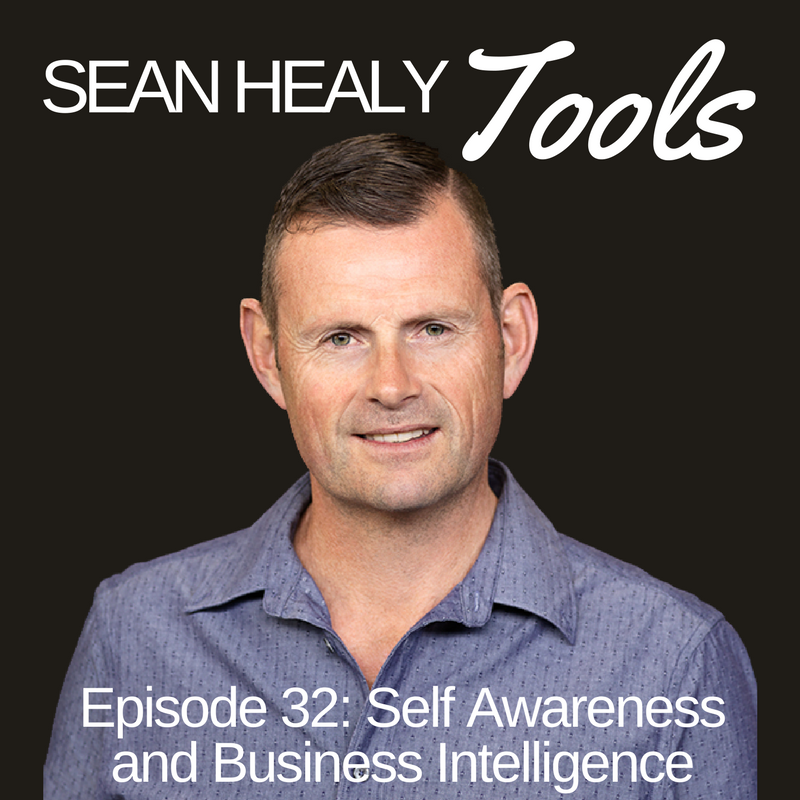 Episode 31 looks at a couple of key areas that can assist you in developing self-awareness so as to more effectively achieve goals, reduce recurring unpleasant dynamics with others and just enjoy life more. We are with ourselves 24/7 so it makes absolute sense to know more about how we are presently putting the world together. Dysfunctional behaviour in the workplace can have such a detrimental effect on the culture of a workplace, the sense of psychological safety of staff and ultimately the productivity of the business. In Episode 30 we explore some of the types of toxic behaviour that play out in workplaces. Through having knowledge and being able to identify exactly what is going on we are able to employ effective remedies. To be in an environment where bullying, belittling and criticism are the norm can be so deflating to a person and really affect quality of life! Just because certain behaviours are common doesn't make them functional or in the best interest of the business and the individuals within the business. Two resources drawn from for this Episode are: Running On Empty by Jonice Webb and Taming Toxic People by David Gillespie. Both books are great reads! Following on from the last few episodes that have looked at soft skills and their importance particularly in business, Episode 29 looks at what is needed to communicate effectively in a business hierarchy. What is required to be more effective at communicating Up the business chain, lateral to yourself or to those whom you direct and lead? How do we make sure we are taking into consideration the scope of responsibility and motivational drivers of others especially when they are different to ours yet we work together? This episode is useful for people who work in environments that have a formal hierarchy as well as those that have an informal hierarchy or more level based business structure. These are principles that will help you stay relevant, be effective and get noticed! Episode 28 continues to address soft skills in life and business. As business push more and more for the optimal point of effective goal achievement coupled with emotions harmony in the workplace. How do we continue to develop in this area, both as an individual and as a group/team? This episode is also relevant to parents, especially when factoring in developmental maturity and not inadvertently setting children up to fail which later results in creating limiting beliefs in adults about their capacity to create and achieve! I hope you find this episode gives you greater insight and food for thought around the power of emotions in business as well as insights into strategies for more effective management of this area. It is essentail for businesses to move forward, for individuals to continue to improve, and for relationships to stay healthy. This episode looks at tips both for when you are looking to get feedback from others and also for when you are in the position of delivering feedback. Depending on how we set things up when it is time to offer feedback can have a massive impact on how well and effective the whole process goes. People who are looking to get better in any area of life are more likely than not going to have to seek out feedback. If we are passionate enough about where it is we are going then we can incorporate and even embrace feedback we need that may not be the feedback we want! When we feel psychologically safe, our best emerges. We can be so busy trying to appear confident and competent that we can forget how important it is to convey to others that we can be trusted. When we feel psychologically safe our best emerges, especially when mirrored and fostered by those around us. Episode 16 looks at some of the measurable touch points that allow us to create and foster trust. Through following these frameworks our colleagues and partners know we can be relied upon. It also provides a measurable focus through which we can determine if those around us are worthy of our trust. This Episode borrows from the ideas of Harvard Professor Amy Cuddy author of Presence and leading Vulnerability researcher Brené Brown Phd author of such books as Daring Greatly amongst other ideas. How do we continue to allow love to grow without killing the fires of passion or dulling them in constant demands of our lives? There is so much pressure these days on us and life can place a lot of demands. Added to this is the changing landscape of modern relationships that require a different approach to continue to stay fresh, alive and invigorated! Episode 15 looks at what couples need to focus on to continue to thrive in relationship whilst building and running businesses. Love is in part about dependability and stability. Desire is about novelty and mystery. A small shift in focus and attention can really provide amazing rewards in our most intimate of relationships! To have the ability to renew and invigorate on an ongoing basis in relationship is so powerful! Emotional Bids are the ways in which we reach out for emotional connection from others. It is a central component to why any relationship with another can continue to grow or dissolve. Emotional Bids go back and forth between individuals all the time and how you respond or others respond to you is vital to relationship health. Knowing this essential concept can support your intimate primary relationship, business relationships and friendships. Emotional Bids are part of the work of relationship researcher Dr John Gottman, author of the book The Relationship Cure written with Joan DeClaire. Anyone wanting to create better connections in their lives need to know about managing Emotional Bids. Having healthy fight form reduces stress and preserves relationships long term. Arguments, fights and disagreements are a part of life. When we are in stimulating, challenging environments and relationships different points of view arise. Through knowing how to disagree and not getting stuck on what we are disagreeing about we can emerge from this moments renewed, rather than frustrated and toxic. Learning how to have more productive disputes is so valuable to continued forward momentum in relationships and business.